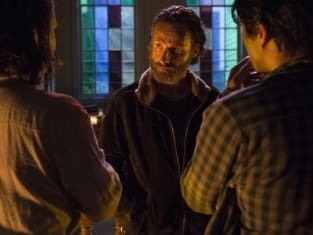 Rick and company confer in this scene from The Walking Dead. It is from the episode "Four Walls and a Roof." 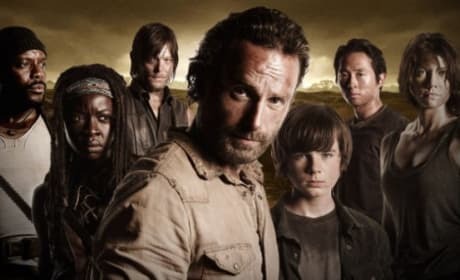 Rick is front and center for this Walking Dead promotional photo. 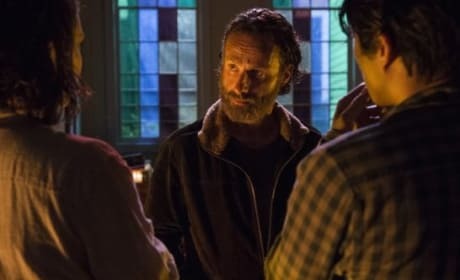 Who of this group will not live to see Season 6?